As well as the exclusive Sal Abrasives range, Lloyd & Jones offer abrasives from the leading brands in abrasives. 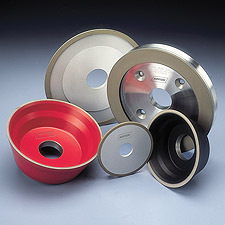 Whatever brand of abrasive you need, Lloyd & Jones have got the right product for your application. Lloyd & Jones’ abrasives selection covers the full spectrum of common industrial abrasives, as well as specialist abrasives and custom solutions for niche applications. 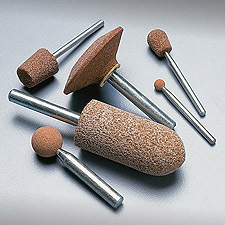 We also stock surface preparation, surface conditioning and surface finishing abrasives to suit any need. 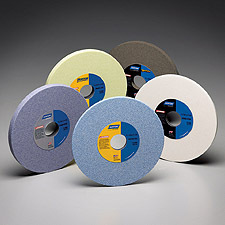 In addition to standard cutting and grinding discs and non-woven pads, Lloyd & Jones also offer hundreds of other abrasive products. 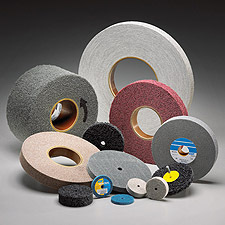 Whether you’re looking for abrasive heavy-duty wheels or flap discs, in any grade, grit or size, or you need polishing blocks, aluminium oxide sheets, emery cloths or wire wool for smaller-scale jobs, you’ll find an abrasive solution at Lloyd & Jones. An innovative showcase of abrasives, enable Lloyd & Jones to look at your processes and provide your company with solutions to help you save time and money, whilst increasing your productivity. For instance, Lloyd & Jones’ innovative technology can help you can replace your usual five abrasive products with just two. This allows you to get from deburr to polish quicker, while still achieving the highest quality finish.